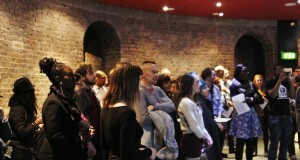 We would like to extend our thanks to all those who attended our Would Like To Meet… event which took place on Monday 10th November at the Roundhouse in Camden. A diverse mixture of freelancers, teachers, performers, music hub staff and organisations came together to create a wonderful evening filled with mingling and networking. It was great to hear exciting conversations happening between like-minded people from across the music sector and we hope that all of our delegates found the event productive and enjoyable. Our next Would Like To Meet… event will take place in July 2015 – we hope you see you all there!